This is a book I’ve been looking forward to for some time. I first noticed it at the centre of a little Twitter storm early this year in which several people whose opinion I trust were becoming very excited, then I noticed that not only was it set in Amsterdam which I’d visited at Christmas but that Jessie Burton had taken for her inspiration the ‘cabinet houses’ that had intrigued me in the Rijksmuseum. Cabinet houses are replicas of the wealthy merchants’ homes which line the canals, beautifully decorated and furnished in miniature. Petronella Oortman’s is a particularly fine example and it’s Nella’s story that Burton tells in The Miniaturist which is, I have to say, one of the finest books I’ve read this year. In November 1686, fresh from the country town of Assendelft, Nella knocks on the door of her new husband’s house. She hasn’t seen him since they were married a month ago. He’s a merchant, a wealthy businessman who divides his time between the stock exchange, the Dutch East India Company and searching out exotic goods far away from Amsterdam. Nella’s reception is distinctly chilly: her husband is absent, her sister-in-law taciturn and the maid sulky, only the black manservant – the like of which she’s never seen before – seems polite. Perhaps this is the way things are done in Amsterdam but as the week wears on there’s still no sign of Johannes, Marin continues to behave as if she’s the mistress of the house rather than Nella and Cornelia becomes cheekier. Nella begins to question the nature of this strange household of which she is nominally in charge. When, eventually, Johannes turns up, his gentle fondness for her fails to materialise into anything else and she continues to sleep alone. She needs an occupation which comes in the form of a present from Johannes: the cabinet house, beautifully crafted but in need of furnishing. When she commissions a miniaturist she finds the packages that are sent contain unasked for extras, dolls which mirror the inhabitants of the Herengracht house a little too exactly. As Nella becomes more confident, she begins to understand that there are many layers to the Brandt household just as there are many layers to Amsterdam. I’m not going to tell you much more than that – much of the delight and skill of this impressive, immensely enjoyable novel is the way in which Nella’s questioning peels back those layers and the many surprises – and shocks – she reveals. This is a gorgeous jewel box of a novel packed with vivid descriptions that summon up seventeenth-century Amsterdam where ‘how you dress is what you are’ although a very plain dress many well be lined in velvet and sable, hidden well away from public gaze. It’s a city where women may walk the streets at liberty but their desire to see the world is confined to map-lined rooms. Burton is particularly adept at characterisation – there are no sinners and saints amongst her main protagonists, each is complex, many-faceted and often surprising. Nella’s transformation from naïve young country girl with visions of a glittering marriage to a resourceful, courageous woman capable of facing even the most gruelling of ordeals is a triumph. The dialogue is often snappy and the device of the mysterious miniaturist who seems to know far more that she should keeps you guessing. It’s a love story, a mystery, a portrait of a great city in which greed, betrayal and corruption seethe beneath a pious Calvinist surface – altogether a very fine book, indeed. 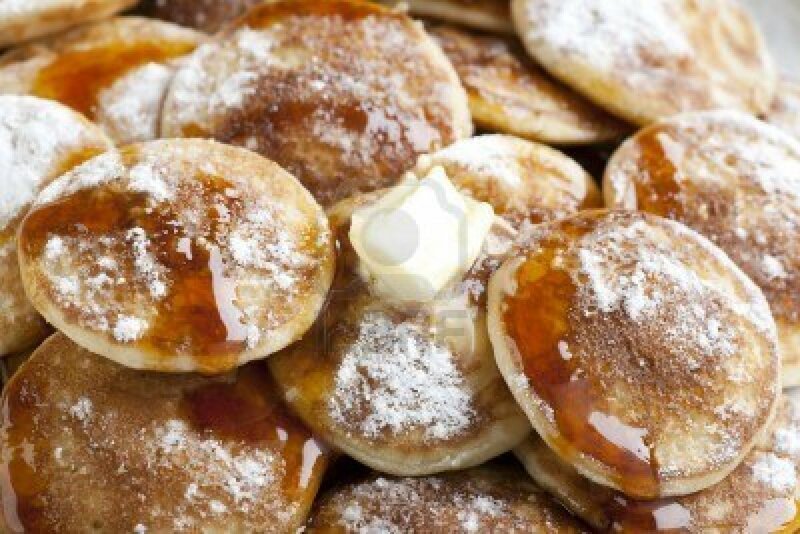 And it made me want to get on the next plane to Amsterdam, head for the Rijksmuseum to look into Nella’s house then stuff my face with poffertjes or pufferts as Nella knew them. Absolutely delicious! So, I’ve already mentioned that The Miniaturist is one of the finest books I’ve read this year – for the record the two that rank alongside it are Nikolaus Butler’s Shotgun Lovesongs and Charles Lambert’s With a Zero at its Heart. We’re well past the half-way point for 2014 – what are your favourites so far? 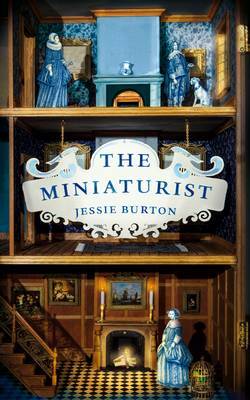 This entry was posted in Reviews and tagged Amsterdam, Dutch cabinet houses, Fiction, Jessie Burton, Petronella Oortman, Picador Books, Poffertjes, The Miniaturist on 6 August 2014 by Susan Osborne. Great review, Susan. This is definitely one of my favourites too. I loved the characters (particularly Marin) and the plotting’s skillful – just as you think things have settled another twist comes along. I can see why it created such a buzz and is selling so well, it’s a perfect combination of great writing and cracking plot. Thanks, Naomi. I particularly liked the way she developed Nella’s character, too, moving the plot along through her questioning. A very fine novel indeed! Thanks, Helen. I hope you enjoyed it as much as I did. Definitely lives up to that buzz. Thank you, Ali. It’s a fabulous book! I hope you enjoy it as much as I did. Oh, oh – ANOTHER one for the list … it does sound great! Sorry, Claire, but it is a marvel! You have to read it. I shall be looking forward to reading this. I have your other two faves in my TBR pile too! Best so far for me is Tigerman by Nick Harkaway. Oh, I enjoyed that, too – I remember your account of his event in Abingdon. Hope you love my three faves as much as I did, Annabel. My favourite novels of the year so far are The Sixteenth of June by Maya Lang, All the Light We Cannot See by Anthony Doerr, What Is Visible by Kimberly Elkins and The Invention of Wings by Sue Monk Kidd. The Heaven of Animals by David James Poissant is a top-notch short story collection. Delighted to see you’ve had such a good reading year, Rebecca. Long may it continue! Your post reminds me just how much I’d like to visit the Rijksmuseum, especially in light of its fairly recent revamp. It’s wonderful, Jacqui. Everything is beautifully restored and displayed. Definitely added to the book for me, too. I’m so glad that this is living up to all the hype. I’ve been worried that it was going to be something of an anticlimax. I think I’ll check when the paperback publication date is and if it works for me have it as my next choice for one of my reading groups. At least that means I shall have to make time for it. My best read so far this year was a 2013 publication, so perhaps it doesn’t count? ‘Harvest’ by Jim Crace. Ah, I should have made that clear – books published before 2014 definitely count. Sadly, I didn’t get on with Harvest but have very much enjoyed previous Crace novels, particularly Arcadia and Being Dead. I have this on hand and I am so looking forward to it. I just need to find some uninterrupted reading time to give it the attention it so clearly deserves. I hope you enjoy it as much as I did, Fleur. It’s worthy of the best compliment you can pay a book, I think – wanting to reread it as soon as you’ve finished. The pufferts are gorgeous, Elena. The only thing that would have made this book better would have been to have a plate of them to hand while reading it! I hope you enjoy it as much as Naomi and I did.